When determining the age group for a season, the year the season ends should be used for determining the birth year. Also note that the format “U followed by age” really means that age and younger. For example, U8 should be read as 8 and younger. 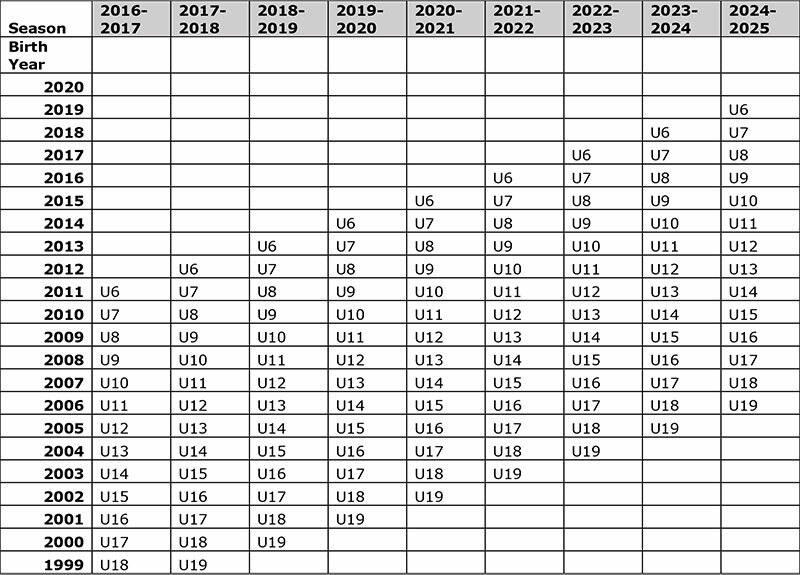 For more age-group information, please reference U.S. Soccer’s Player Development Initiatives.